The record is made up of 1 volume (43 folios). It was created in 1937. It was written in English. The original is part of the British Library: India Office The department of the British Government to which the Government of India reported between 1858 and 1947. The successor to the Court of Directors. Records and Private Papers. 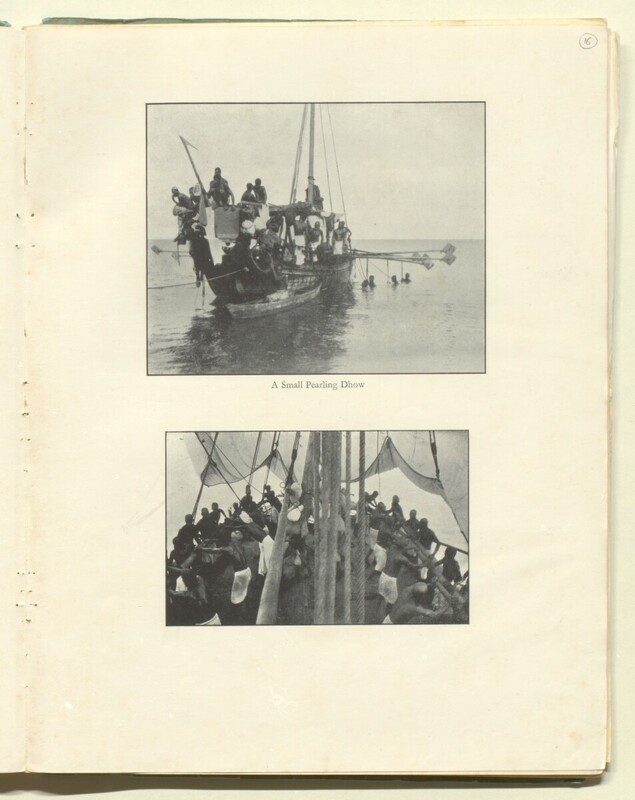 This volume is an administration report covering the years 1926 to 1937 (though in some subjects the report goes further back than 1926) and deals mainly with the activities of the Bahrain Government. It includes text, photographic images, graphs and tables. The report was based on annual reports of the financial and government departments which are made every year. A contents page can be found on folio 3, followed by a General Review by Charles Dalrymple Belgrave, dated December 1937 (folio 4). Agriculture (folios 29r-31v): Land Tenure, Date Cultivation, Lucerne, Cereals, Cotton, Tobacco, Fruit Trees, and Vegetables. Social and Political Developments (folios 41r-42v): Arabs and Baharna, The Baharna, The Townsfolk, Houses, Games, Class Changes, The Ruling Family, and The Women. Folio 33: 'Buildings Constructed by Bahrain Government at Naval Base, Jufair [al-Jufayr]', 'Clerk in Charge's House', 'Canteen', and 'Officer's Building'. Folio 17 is a graph entitled 'A decade of Customs Progress'. A note on the title page reads 'Property of H.B.M. Embassy Bahrain' (folio 2r) and the back cover includes a label that reads: 'Printed at the Dolphin Press, Brighton, England' (folio 43v). This file contains a page of contents (folio 3) which references pages of the report. The copyright status is unknown. Please contact [email protected]bl.uk with any information you have regarding this item.